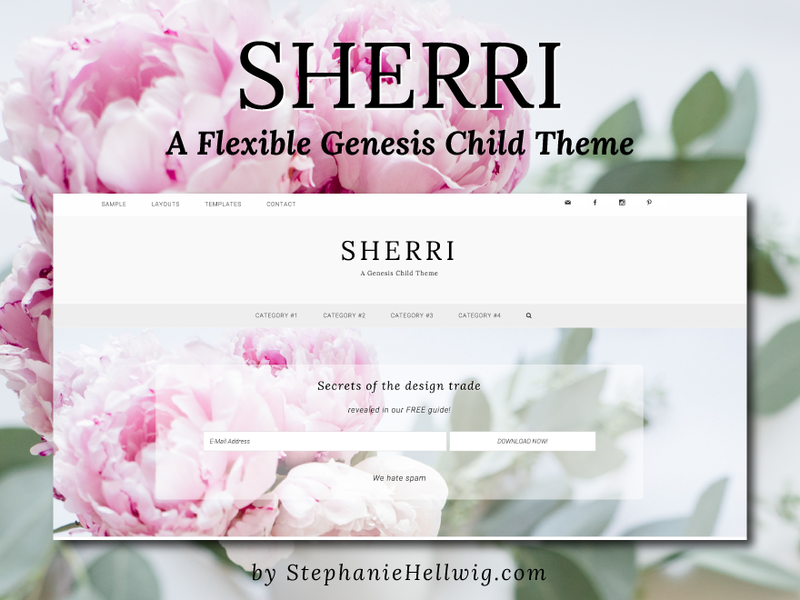 Sherri is a flexible WordPress child theme for the Genesis framework and is full of ways for you to customize your website! Change the color or add a different header image right in the WordPress customizer. Use the flexible widget space to add pages or posts or images whatever you need to coordinate with your branding and reach your target market. Integrate a WooCommerce shop and showcase it right on your homepage. Add advertising in the many advertising widget areas. 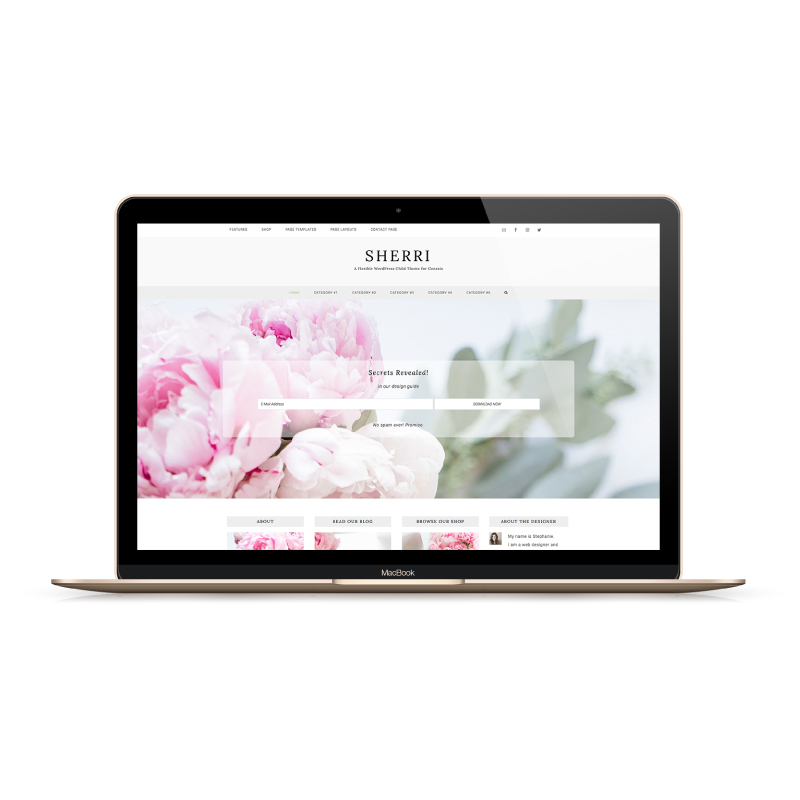 Sherri is a beautiful theme with unlimited ways to customize to make her your own! Our themes require the Genesis Framework in order to function. If you do not already own the Genesis Framework you can click here to purchase it. Genesis is a one time purchase and when you purchase the Genesis framework you are also gaining access to their support, forums and code snippets. Sherri is a flexible WordPress theme built for the Genesis Framework. Sherri is full of ways for you to customize your website! Change the color or add a different header image right in the WordPress customizer. Use the flexible widget space to add pages or posts or images whatever you need to coordinate with your branding and reach your target market. Integrate a WooCommerce shop and showcase it right on your homepage. Add advertising in the many advertising widget areas. 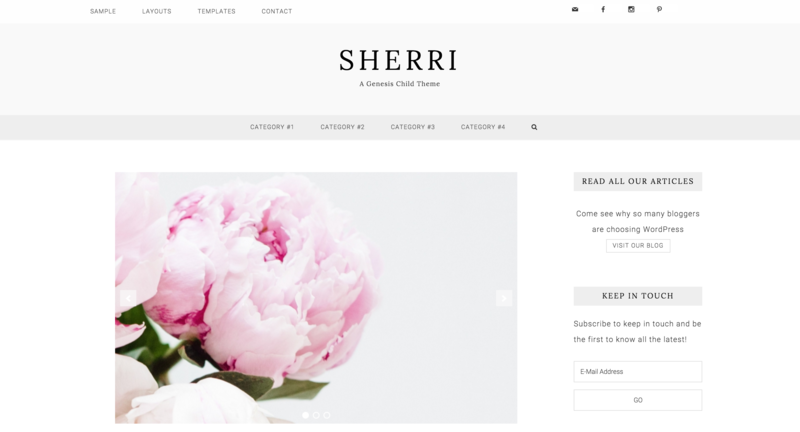 Sherri is a beautiful theme with unlimited ways to customize to make her your own! Required plugin installer! Saves you lots of time! Please note: This theme was built for the Genesis framework and it is required and must be purchased separately.